Megastar for Joomla is a modern, customisable website template for building B2B, B2C business, company and organization websites. Incl support. Running a business is hard work. Everybody knows this but in the spirit of entrepreneurial greatness it is a thriving industry, and to excel you need an awesome website. That is where Megastar comes to your rescue. At bdthemes we strive to make beautiful website templates and templates that speak to a niche industry, we research, design and develop with that niche at the core of every decision we make and the results speak for themselves. With Megastar for Joomla you get the most modern, responsive, thoughtful design for any business – whether it’s B2B or B2C – we have got you covered. Absolutely free template setup like demo site for all customers, just purchase the template and send us a support ticket our support team handle the quickstart package installation. 5 Pre-made homepage that help you to start your site very easily. 4 Header style and 6 Menu style included, you can combine with any of them. 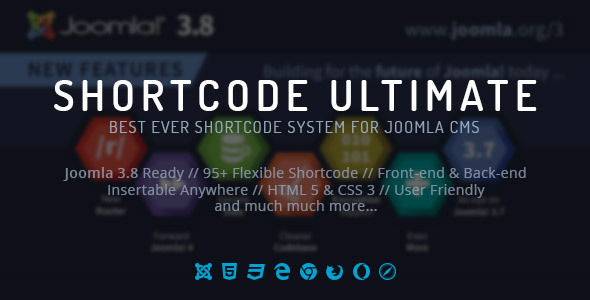 Shortcodes – It’s included 90+ awesome shortcodes, that you help anywhere to built your site. you can’t effort them to code manually. huge time saving element if you don’t belive so please look at demo. Font Awesome + Line Icon – It’s included font awesome 4.6 + Linea Icons so you can esily use them anywhere with shortcode plugin. Save as Preset – You can save any shortcode setting as preset for future use. so no more hassle to make same thing again and again. Cheatsheet – There also included all shortcode with all shortcode attributes so you can easily understand what feature included with each shortcode. Social Media – There are many shortcodes that fullfil your social media expectation. for example: it’s included social like, social share, social feed, social lock etc. Quicx Joomla Page Builder based. Undo / Redo – Oops! Did something wrong? No problem, press the undo button and everything is back. Built-In Animation – Movement attracts attention. With Quix, you can add animation to any element. Parallax Background – It’s never been easier to add a parallax effect to any section or row in website. Keyboard Shortcut – Quix handy keyboard shortcut makes rapid website development painless. Google Font – Take advantage of Quix selected google fonts collection and apply it anywhere you want. Collapse Builder – Collapse a section that doesn’t get updated often, so that it takes up less room in the builder. Latest PHP Support – Quix need minimum PHP 5.6 even it’s support latest PHP 7 so no compromise with edge of technology.